A Reliable and Affordable Means to Get iPod Touch 4g Repair - Most Trusted IPhone Repair Specialist. Iphone 3GS/4/4S/5/5c/5s, IPAD 2/3/4, Mini, Air, IPod Touch 4. Nobody can fix it? Bring It On. The extensive usage of your iPod Touch 4g can make it susceptible to several kinds of damages. These damages vary from cracking of the sensitive screen to damaging the delicate jack. Although, several other kinds of damage exist such as the breakage of the body parts, shortage of its battery life span among others, but the former two are the most prevailing. Your iPod Touch 4g screen might crack as a result of its accidental fall on the ground or mistakenly matched by someone or anything. The iPod jack on the other hand which is the important audio feature of the device can be damaged by mere tugging on the earpiece in particular directions. This very problem of iPod jack is actually common with headphones that have surround sound. 1.3 Generally, the company offers very fast and easy service. 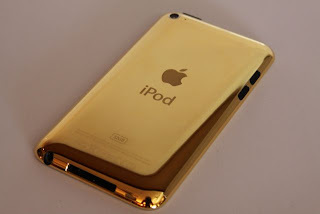 1.4 Have you seen 'Real 24ct Gold iPod Touch' ever before ? 1.5 It's Available For Our Customers Only. 1.7 please click here to see '24ct Gold iPod Touch'. some technological device repair information, a lot of iPod Touch 4g users are indulging in fixing their damaged device all by themselves. This makes them to damage the device the more and sometimes beyond any possible repair. In the instance that the device is not completely damaged, you might loose all or some of your vital documents such as the songs and movies. Even if you are a high-tech savvy you have had knowledge in loosing and fixing tiny objects, if you are not proficient in dealing with iPod products, it is not advisable to carry out any try and error assignment on your beautiful and delicate iPod Touch 4g. a particular iPod repair company in Sydney, Australia understood the predicament most users do face with their respective iPod product. As a result, they are solely specialized in iPod Touch 4g Repair with the repair of several other versions of iPod and Apple products. This company which is known as iPod Repair Sydney Specialist is a local business in Sydney that has a number of branches across Sydney. One amazing quality of this company is that it is one of the members of Apple Repair Specialists Alliance around the world. The company has abundant professionals that are well trained and experienced. They are always ready to cater to their customers’ needs. Generally, the company offers very fast and easy service. The rate for their service is cheap, I mean you are been guaranteed a very low price service for repairing your device, be it screen crack, damage to the audio jack, or perhaps damage to any part of your device. Also, their services are very quick such that you can get your iPod Touch 4g Repair done within the interval of twenty four hours. This is in every ramification better than taken your iPod Touch to an Apple Store for repair which can take about 90days before you could get it back. This company is very much ready to assist you with any kind of problem you might be facing with your iPod Touch, do reach them today either locally or via their website or email address.